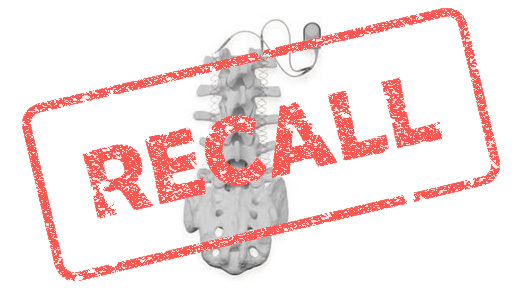 Zimmer Biomet has recalled its implantable spinal fusion stimulators over concerns of toxicity to tissues and organs. The SpF PLUS-Mini and SpF XL IIb Implantable Spinal Fusion Stimulators are implanted into the back and provide constant electrical stimulation to increase the possibility of permanently fusing two or more bones of the spine. However, during the company’s routine monitoring procedures, it found higher than allowed levels of potentially harmful chemicals that could be toxic to tissues and organs. Using the product could cause serious adverse health results including chronic infection, long-term hospitalization, paralysis and death. The Class I recall involves products that were manufactured between October 11, 2016 and January 18, 2016, and distributed between March 28 and April 6, 2017. 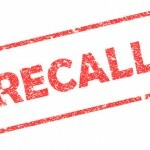 Thus far, 33 devices have been recalled in the United States. 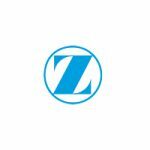 Zimmer Biomet sent an Urgent Medical Device Removal notification to its affected customers, advising them to quarantine the products. Regarding patients who already have these specific devices implanted, surgeons should engage in normal clinical monitoring for three to six months following the procedure.